TORONTO, CANADA – December 18, 2017 – iTMethods, an Amazon Web Services (AWS) Advanced Consulting and Managed Service Partner (MSP), announced today that it has achieved AWS DevOps Competency status. This achievement reinforces iTMethods’ deep knowledge of the AWS Cloud and its commitment to help customers architect and maintain robust, scalable, and secure DevOps toolchains that enable organizations to develop and deliver better software more rapidly. AWS Competencies are granted to AWS Partner Network (APN) members that demonstrate clear technical proficiency alongside proven customer success in specialized areas. To obtain AWS DevOps Competency status, APN members must meet rigorous requirements to validate their AWS expertise and illustrate how they have supported customers in evaluating and using tools, techniques, and technologies that enable them to drive results at any scale. AWS is enabling scalable, flexible, and cost-effective solutions for customers ranging from startups to global enterprises. 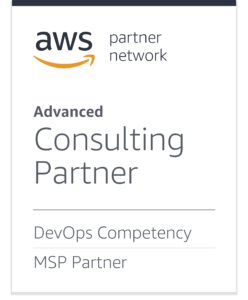 To support the seamless integration and deployment of these solutions, AWS established the AWS Competency Program to help identify Consulting and Technology APN Partners with deep industry experience and expertise. iTMethods is dedicated to addressing the core challenges organizations face in realizing their DevOps transformations—providing turn-key tools-as-a-service solutions for rapid integration and deployment, administrative and functional support to streamline the adoption of DevOps Enterprise Tools on AWS, and DevOps consulting services to assist in implementing DevOps and tool-specific best practices. iTMethods has worked with a number of clients to accelerate their DevOps journeys on the AWS Cloud and is the trusted partner for educational and financial institutions, professional and industry associations, media companies, online retailers, software developers, and other leading global organizations. As a leading North American DevOps Service provider, iTMethods helps customers of all sizes accelerate their DevOps initiatives. We are proud to hold a unique combination of Partner designations including AWS Advanced Consulting Partner, AWS DevOps Competency, AWS Managed Service Partner (MSP), CloudBees Jenkins Gold and MSP Partner, Atlassian Gold Solution Provider, GitHub Gold and MSP Partner. Contact us today to learn more about our services.